I have a great and very heartwarming Christmas tale to share. Several years ago, my Aunt Mariah* came to town for Christmas. She came in a few days before the 25th to help with decorations and gift wrapping, because she is a nice, thoughtful lady. She is so nice and thoughtful, in fact, that she took on the burden of decorating the Christmas tree all by herself. Aunt Mariah worked hard on that tree, so to keep her energy up she ate an English muffin with peanut butter while decorating. It was chunky peanut butter. Chunky peanut butter is the most delicious kind of peanut butter and, typically, is the kind you should always go for. The sole exception, however, is when you’re a lady named Aunt Mariah and you have gold crowns on your molar teeth. There are chunks in chunky PB and if you bite down on a chunk wrong, you’re going to eff up that molar crown in the baddest way. And of course that’s what the crazy ho did. She was concentrating so hard on hanging tinsel that she didn’t pay any attention to the peanut butter chunks and next thing you know she bit down wrong and effed up her tooth crown. And then she swallowed it down whole! The nut! The thing about Aunt Mariah, though, is that she actually wasn’t a nut at all. She was (and still is, bless her shart) an extremely practical person. After she swallowed that gold crown, she did a quick mental calculation and figured out that a new gold tooth could cost well over one thousand dollars! “Heck if I’m going to pay that,” Aunt Mariah thought. Instead, she ran down to the local grocer and picked herself up a metal strainer and a plastic mixing spoon. She was going to go a-gold-digging. And by that, I mean she decided to do all her pooping in a strainer and sift through it in search of her gold tooth. Well, that’s just exactly what Aunt Mariah did. Poor woman did all her crapping in a strainer for two days straight and didn’t see a flicker of gold anywhere. She was just about ready to give up when, on Christmas morning, the impoopssible happened. Despite the failures of the days prior, Aunt Mariah decided to give it one last try on Christmas morning. She took a dump in the strainer, used the spoon to go through it, and found a glint of gold amid her crap. She plucked it out, rinsed it off, threw it in a pot of boiling water, and said a prayer to the Christmas Poo. 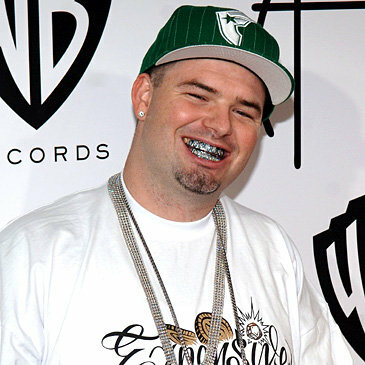 She took it to the dentist a few days later and came home with her gold poop tooth glued back down in her mouth, looking something like the ice man Paul Wall. Need proof that this really happened? Like all good Christmas tales, there’s a Christmas carol about it! What would you do if you swallowed your tooth? *Names have been changed to protect the privacy of the tooth swallower. This entry was posted in classy and tagged classy, family, holidays, humor, swallowing a tooth and then pooping it out on July 22, 2014 by classygallie. In retrospect, maybe I should have included a warning at the beginning… sorry!